Ever since tourism to Monteverde started growing exponentially in the 1990s, homeowners and businesses have been struggling to help keep the area’s water filtration hygienic. Monteverde, like many other Latin American rural areas, practices a method of separating the town´s wastewater before it is cleaned and dumped back into the creeks and rivers. “El agua de Monteverde, viene de Monteverde y regresa a Monteverde,” said hotel manager Erick Morales. 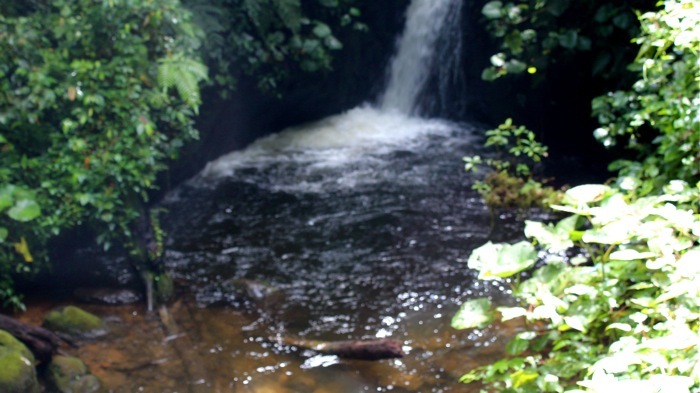 The water of Monteverde is from Monteverde and returns to Monteverde. “Grey water,” which usually consists of water from the shower, kitchen sink and laundry, is separated from “black water,” or toilet water. The black water then travels through drains underground, is sanitized with chemicals, and empties out into three large tanks. In Monteverde, a truck arrives to carry out these three tanks and take them to a treatment facility, where the black water is treated until it is in proper condition to go back into Monteverde’s ecosystem. Grey water is simply passed through filters with tires around it, which help clean the water. This type of sewage waste management is quite common. The problem for Monteverde—a place that once used to see only about 300 research-oriented visitors per year, and now welcomes an estimated average of 200,000 tourists annually—is the impact the influx of people is having on wastewater management. Morales, manager of the Treehouse Hotel, a favorite of international tourists, said the hotel does not separate its wastewater into black water and grey water before disposing of it. The city sets rules and regulations for all buildings and houses to separate grey water and black water, but holds the large hotels to different standards. They must provide their own means of private waste management, due to the high amount of visitors. Morales said the Treehouse Hotel has a private filtering system that carries all of its dirty water through underground drains. Then a germ is added to it to eat away the bacteria before it is poured back into the river. Morales said separating the water is too expensive and the water “doesn’t come out too contaminated” with the method Treehouse Hotel uses. The high amount of wasterwater is now becoming an issue. A study led by Dr. Stewart Dallas in conjunction with Smith College, in Massachusetts, showed a dramatic contrast when comparing the condition of upstream water to downstream water. The quality of water tested in rivers in Monteverde and its neighboring town, Santa Elena, had been affected by the crowds of tourists and improper waste management, according to the study. Most homes and businesses in Santa Elena opt for the traditional separation method, and do not see the option of adopting a deep sewage system with activated sludge treatments, like the United States has, becoming a reality anytime soon. Jonathan Cruz, 33, an employee at the quaint yet crowded Montelena Hostel, said the water there is drained along with all of Monteverde’s and the black water is eventually taken to one of three large tanks that are collected twice a year. He does not know exactly how clean the water ends up. As you reach the less crowded destinations in the rural area, you see different methods of water disposal being used by different home and hotel owners. The rules and regulations seem as unclear as the cloud forest itself, as individual families often adapt simpler methods. She explained the black water from her farm passes through drains made with rocks from the river to help clean the drain and filter out the unsanitary components. Now, a lot of the newer drains neighboring Picado’s 300-hectare farm have also incorporated this method but are using old tires instead of river rocks. Picado said this method was mimicked after the tires placed near coral reefs, which gave more sanitary results in areas where wastewater was being dumped into the ecosystem. The tires, according to Picado, allowed a better absorption of city water into the ecosystem. A river in Monteverde's cloudforest, where the water of Santa Elena comes from. Nice piece Lucy. So many tourist areas are dealing with these kind of water issues.